Congratulations to Dr. Sally McFarlane on receiving a 2009 Ronald L. Brodzinski Award for Early Career Exceptional Achievement. The award, which Pacific Northwest National Laboratory established in memory of Laboratory Fellow Ron Brodzinski, recognizes outstanding published scientific or engineering contributions in fields of national importance by individuals near the beginning of their professional careers. Sally, who was nominated by Dr. Beat Schmid, Associate Director, Atmospheric Sciences and Global Change Division, was honored for her exceptional contribution in the field of atmospheric science, particularly in her efforts to improve understanding of the radiative effect of clouds and aerosols on the Earth's atmosphere and their representation in climate models. According to Beat in his nomination letter, "She is an excellent scientist whose research has greatly increased our knowledge of the radiative impact of cirrus clouds on the tropics. By improving the understanding of how cloud properties affect climate change, Dr. McFarlane is advancing an important PNNL mission contribution: transforming the nation's ability to predict climate change and its impacts." Six other eminent scientists and leaders wrote glowing letters of support for Sally's nomination, from institutions including the National Center for Atmospheric Research and the Universities of Washington, Colorado, and Wisconsin-Madison. 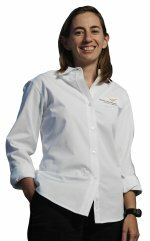 Sally has been involved with the U.S. Department of Energy-funded Atmospheric Radiation Measurement Program since she was a graduate student at the University of Colorado in 2002.Her contributions to that program, now called Atmospheric Systems Research, lie in her technical expertise in remote sensing and radiative transfer. Since joining PNNL as a research scientist in 2005, she also has become active in innovative use of remote sensing retrievals of cloud properties to evaluate and constrain model results. In 2009, the Alumnae Association of Mount Holyoke College presented Sally with the prestigious Mary Lyon Award for her "exceptional early achievement, and in anticipation of her continued success and outstanding community service."